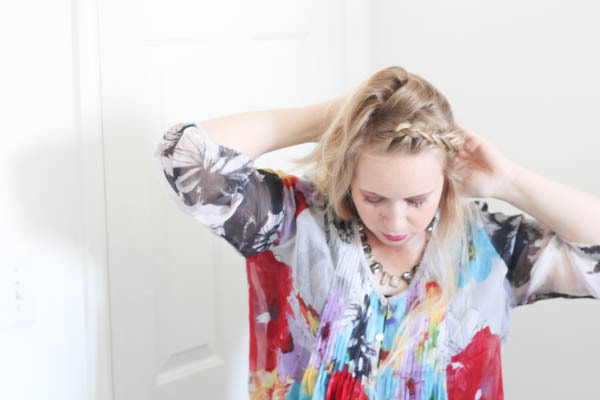 Now that the warmer months are here to stay (cross your fingers! ), I've been practicing my braid techniques. 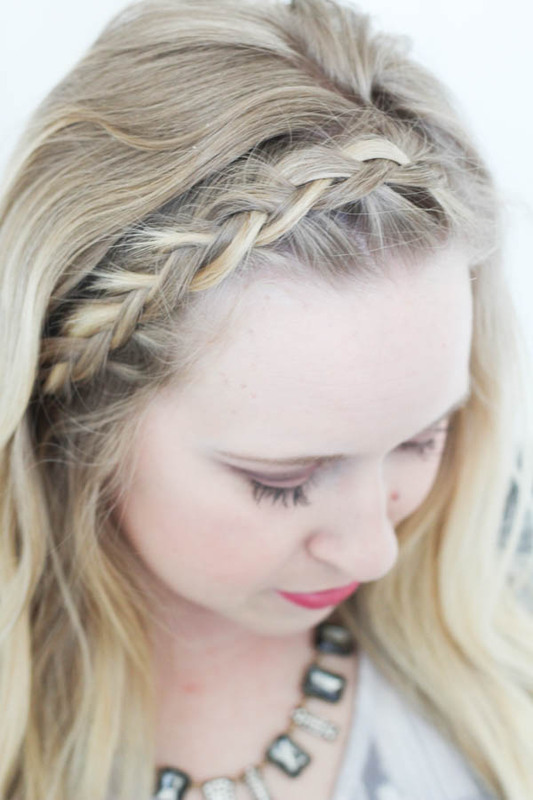 I absolutely love those thick Elsa-like braids, but find it so difficult to achieve with my color-treated thin hair! 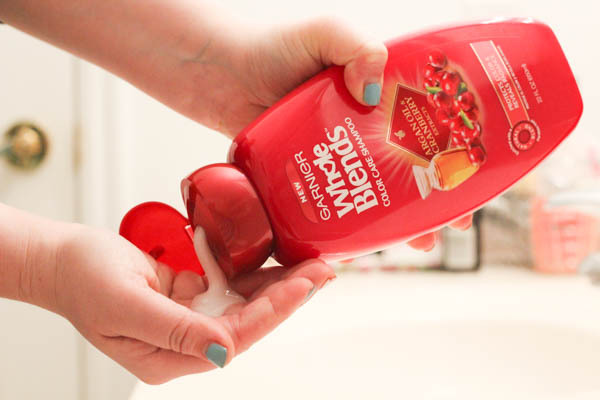 Which is why I've really enjoyed Garnier's new Whole Blends Color Care hair care line. 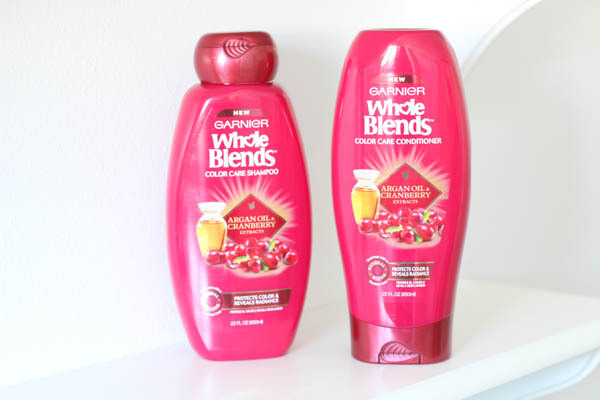 I picked up the Garnier Whole Blends Color Care Shampoo and Conditioner from Walmart, and am looking forward to the hair mask when it gets stocked at my store! 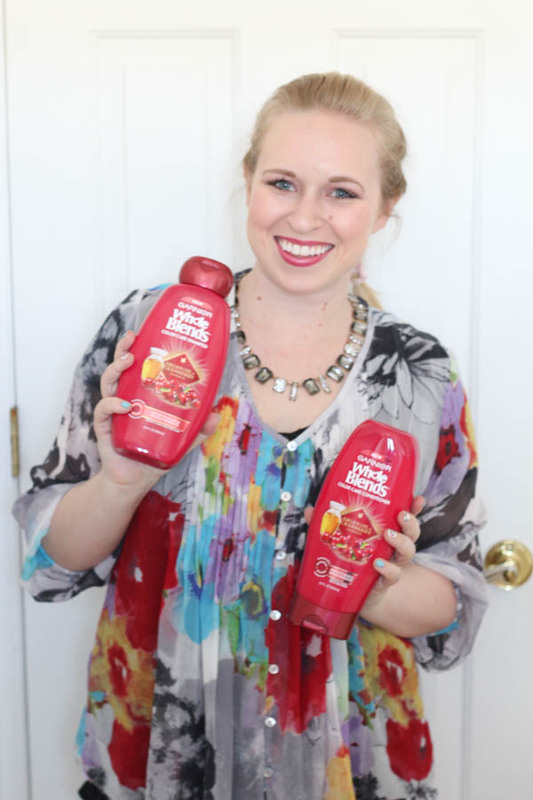 This line is created using naturally wholesome ingredients and comes in a variety of formulas. 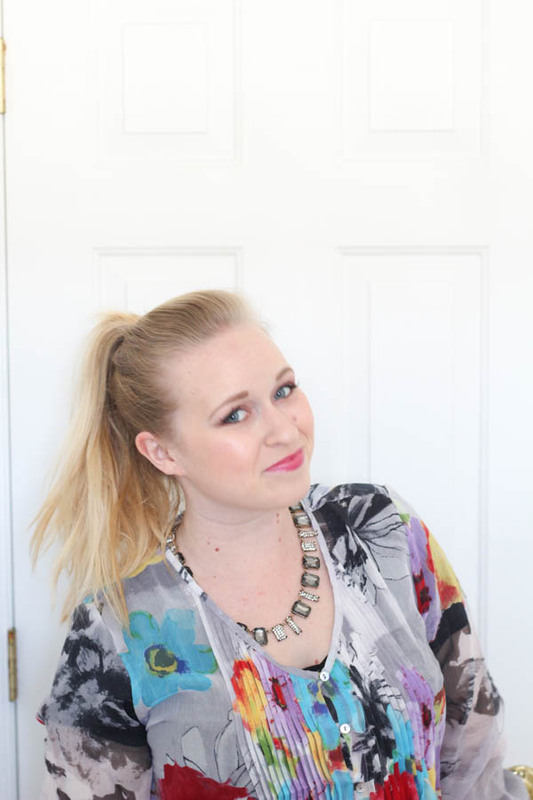 I absolutely love how soft this shampoo/conditioner combo made my balyage-colored strands. 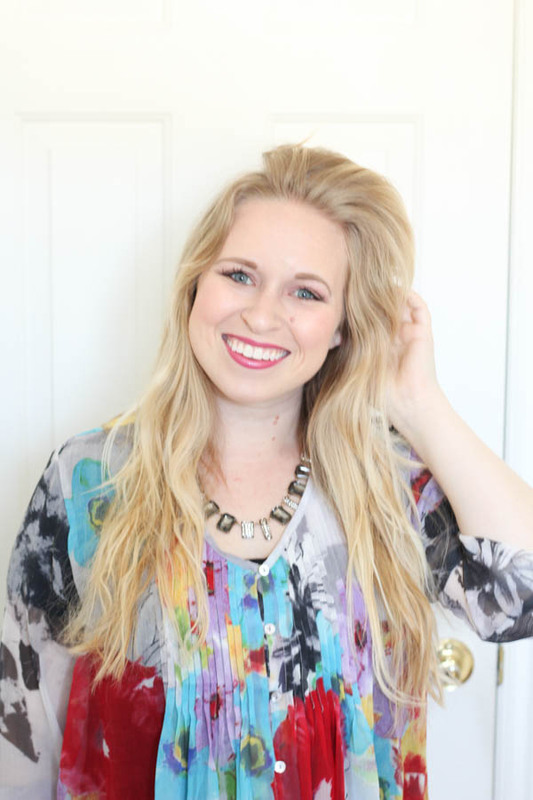 The argan oil and cranberry essence protects my color-treated hair, and it enhances the natural beauty of my blonde locks! 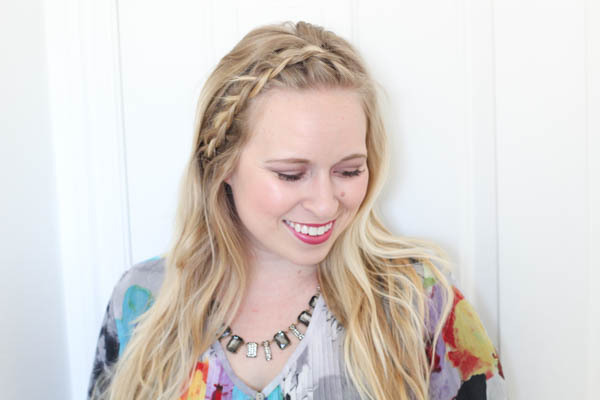 I've got a couple of summer braid tutorials for you, and after washing and conditioning my hair with the Garnier Whole Blends Color Care products it was much easier to style my braids! 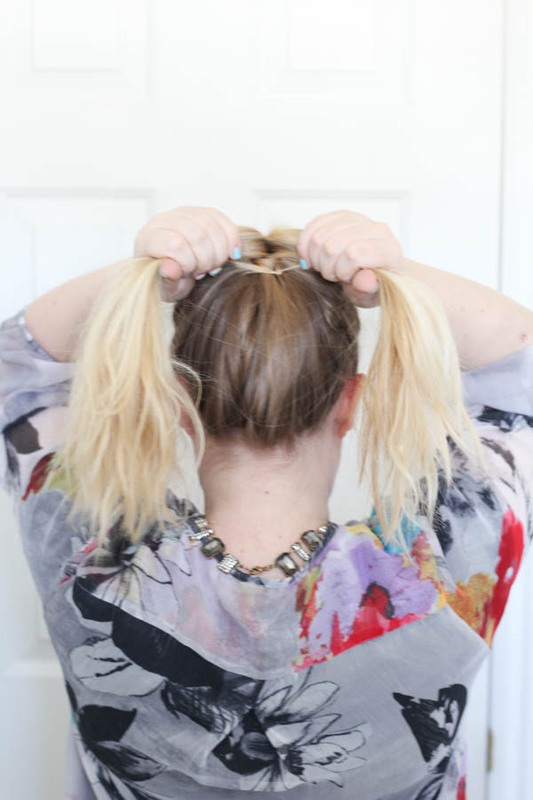 I love this style for when my bangs are driving me nuts and won't behave! It gets the hair out of my face while also looking like I put it some serious effort into my 'do. 1. Before! 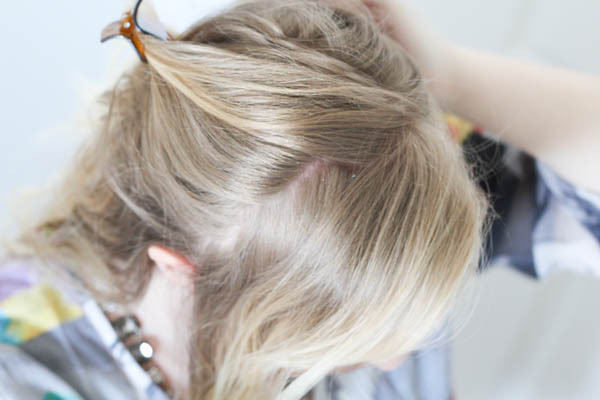 Spritz in some sea-salt spray and let's get started. 2. 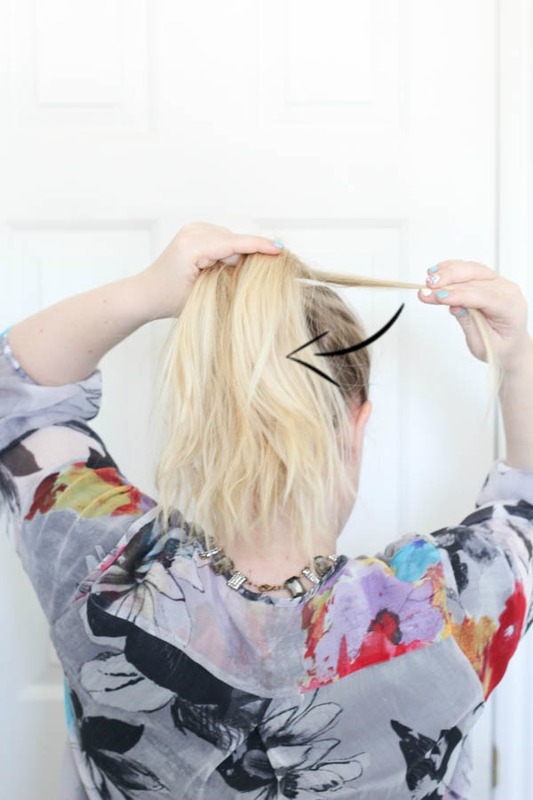 Grab at least 2-3 inches of hair towards the front and clip the rest of it back. Don't want to accidentally grab some unwanted hair. 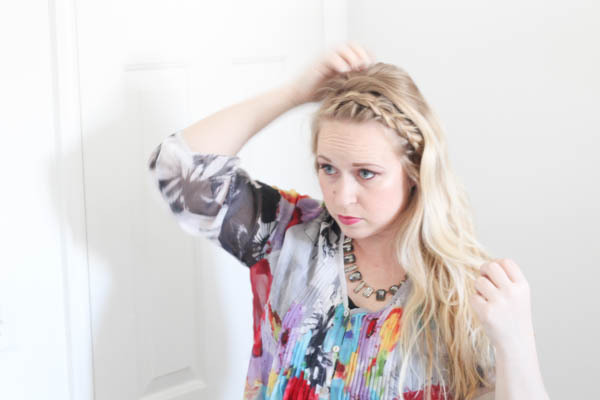 Then spritz some hairspray so your braid will keep it's shape, especially if you have shorter bangs like I do. 3. Start with 3 small strands of hair, and instead of braiding the strands over each other, we are going to braid them under one another. 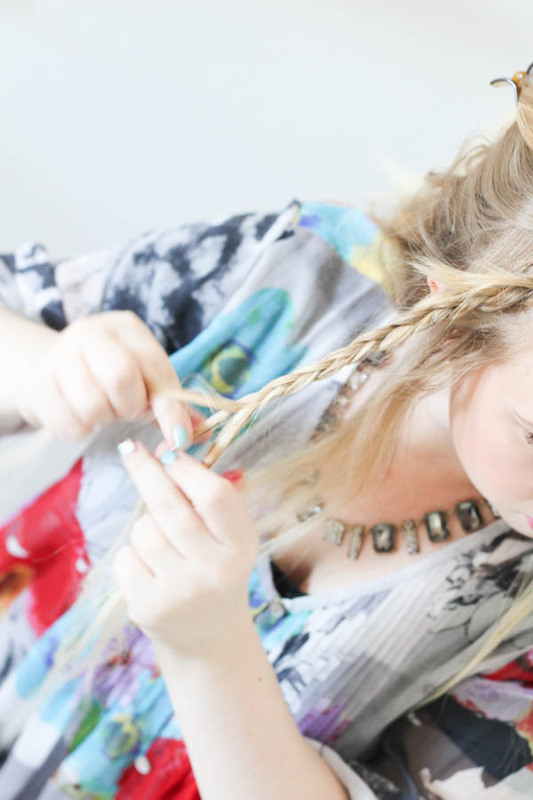 Braid each strand once, then start grabbing a piece of loose hair with your main strand to braid. 4. 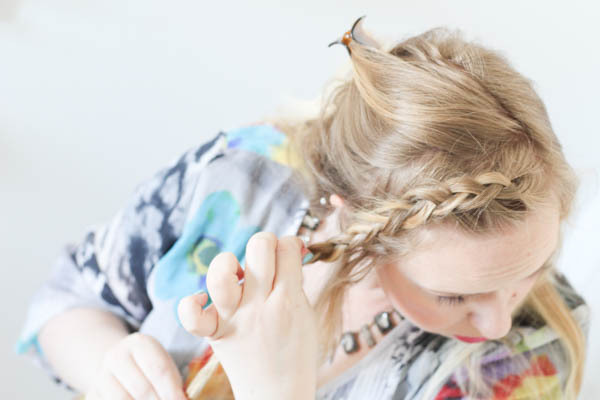 Take a piece of loose hair with each strand and go under so the braid will sit on top of your head. 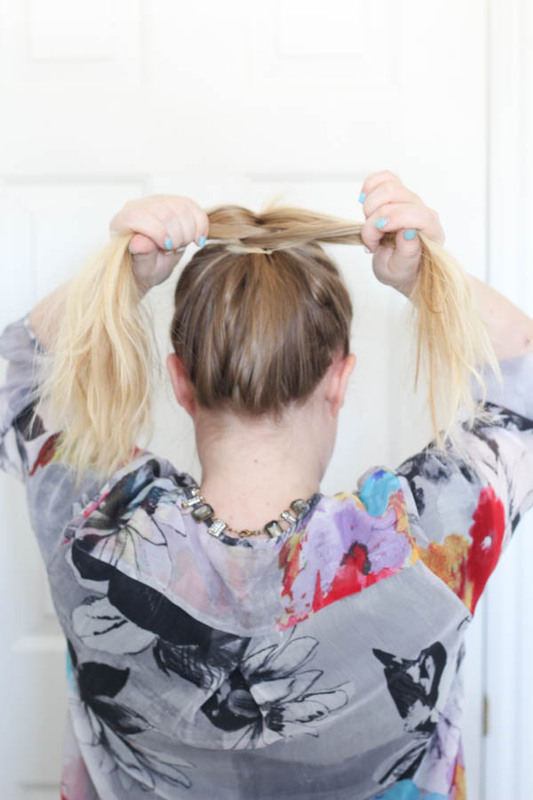 Braid it tightly and angle towards the back of your head. 5. 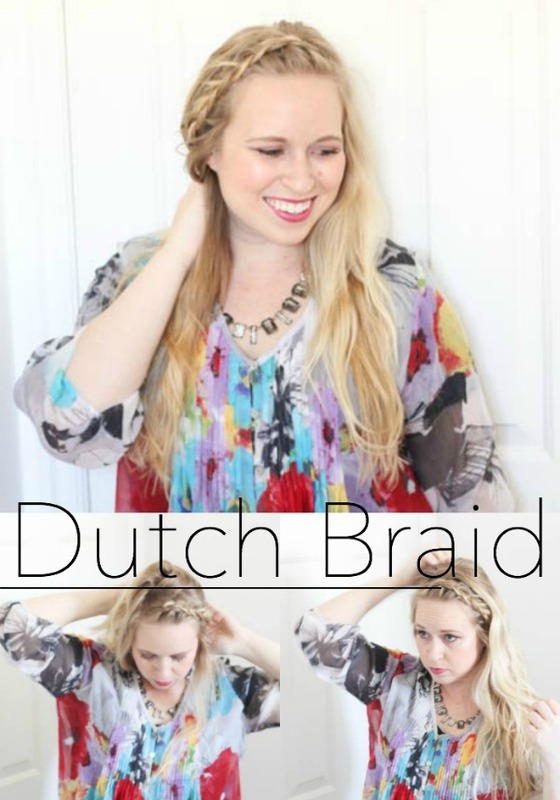 Braid normally once you don't have anymore hair on your scalp left to braid. 6. 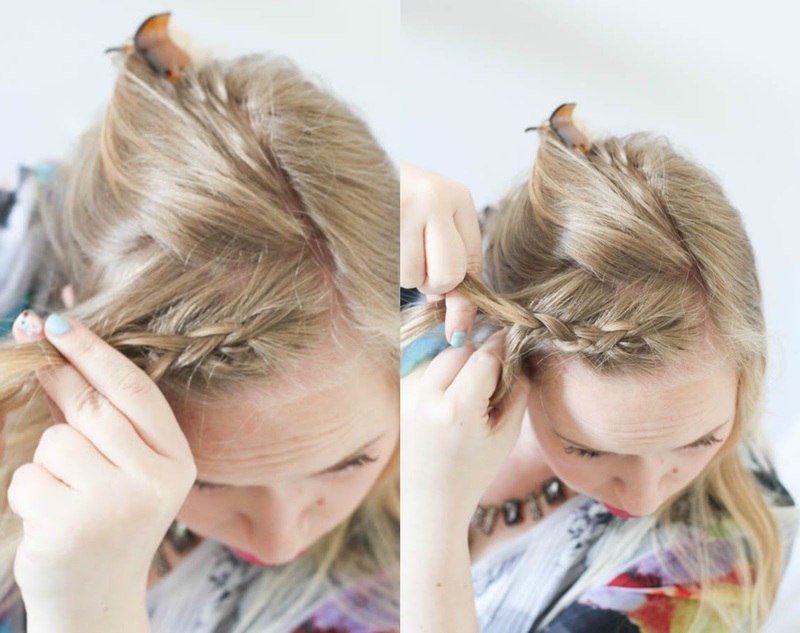 Hold the end of the braid and start to tug lightly at the outer side of the braid (the part away from your eyes). This will give it a bigger and fluffier look, which is the style! 7. 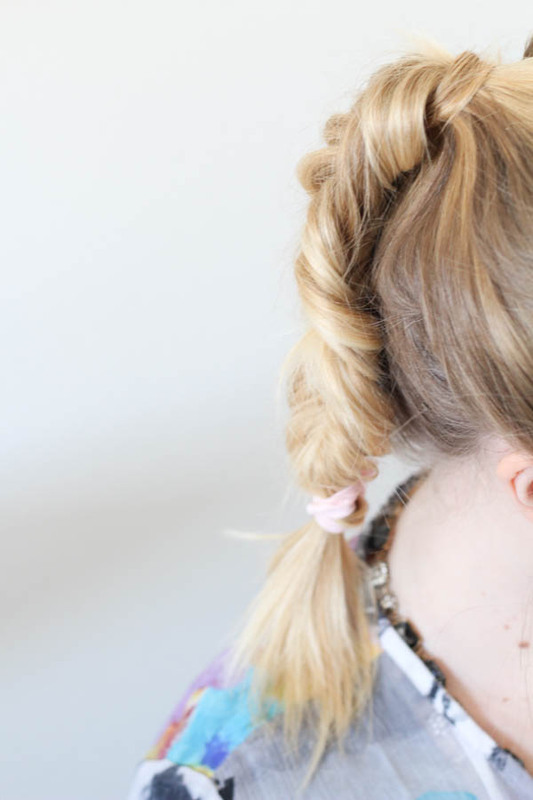 Tuck the braid behind your ear and pin it tightly with a couple of bobby pins. 8. 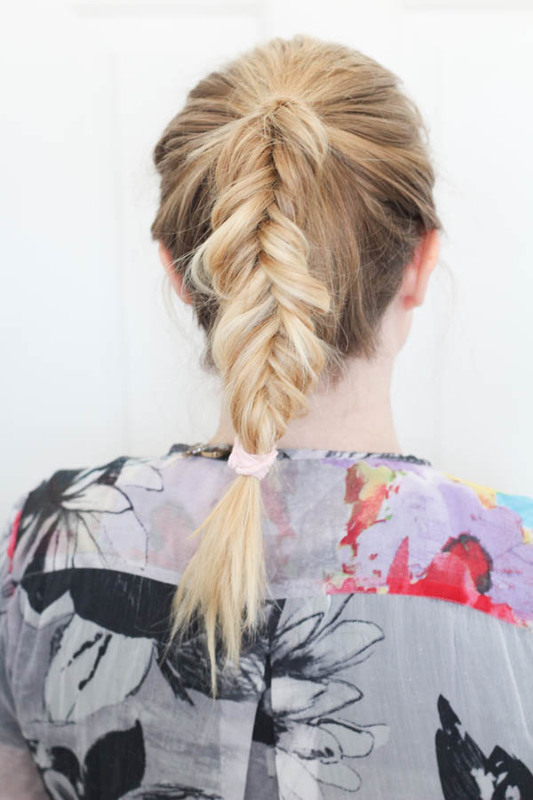 Bring the rest of your hair over the top of your braid and cover the pins. I love this look! Fishtail braids are kind of a pain because they take a while, but the end product is absolutely worth it. 1. 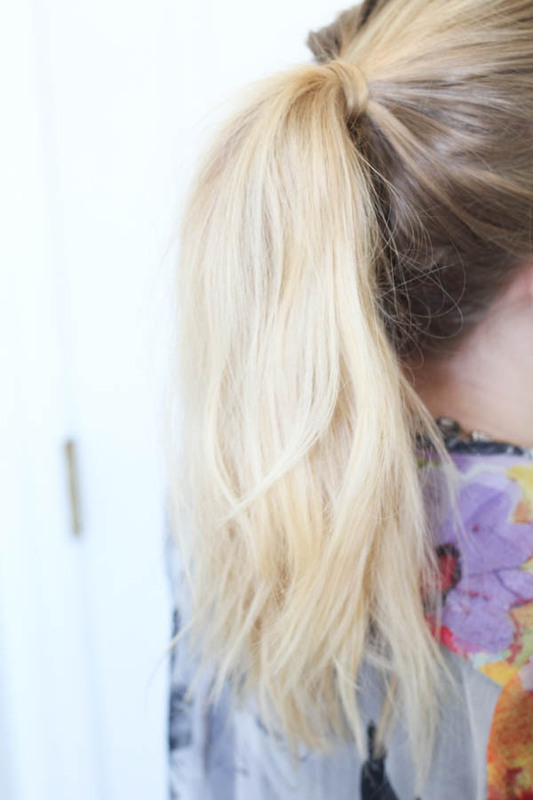 Spritz your locks with some hairspray and brush back into a high pony. 2. 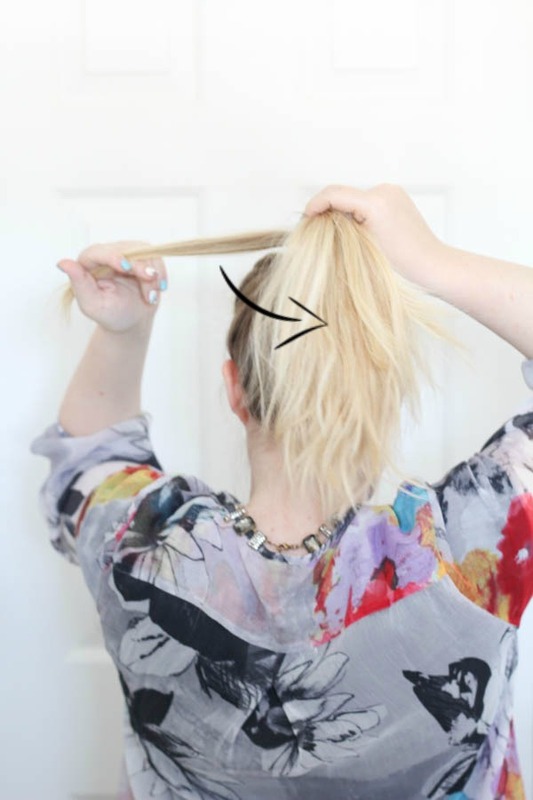 Secure with an elastic and take a piece of hair from the bottom-side of the pony, wrap it around the elastic and then secure it with a bobby pin. 3. 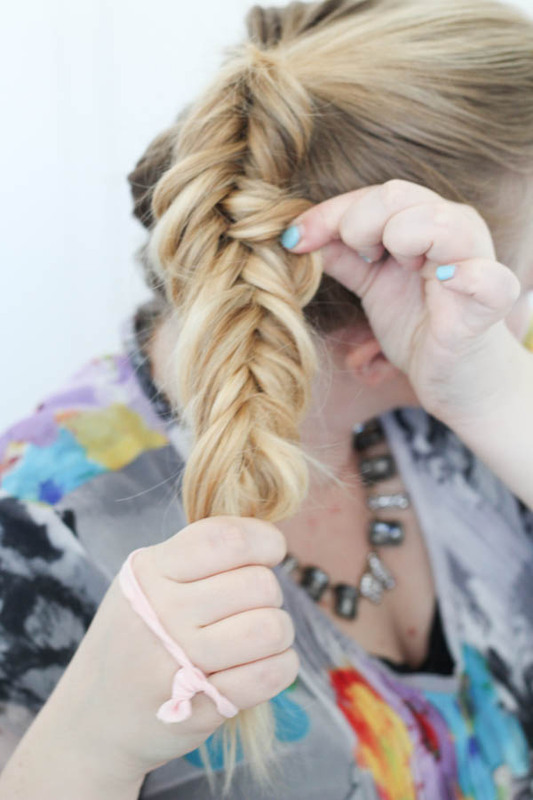 Split braid into 2 thick pieces. Then let's get ready to rumble. 4. Take a piece from your right hand chunk, and move it under and grab it with your left hand so this piece can join the left chunk family. 5. See that strand from the right side now at home on the left? Yippee! 6. Take a piece from the left side and move it under to its new home with the right chunk family. 7. Look at that! They've swapped places and are lookin' mighty fine. 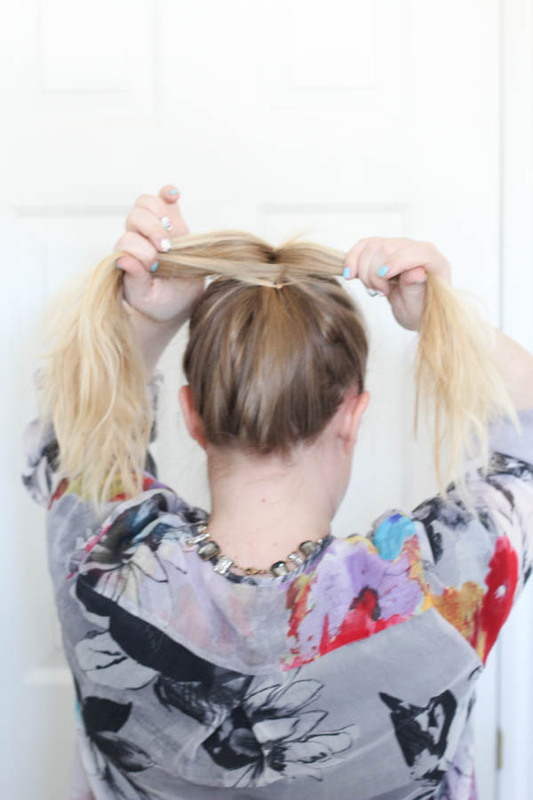 Continue this routine until you reach the end of your pony. 8. 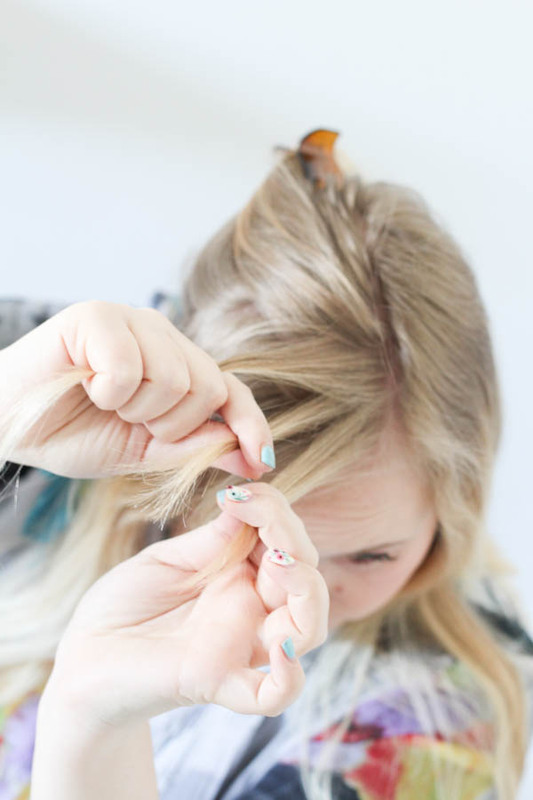 Hold the end of the braid, and fluff away! It's also called pancaking, look it up my friends. Secure with an adorable tie! 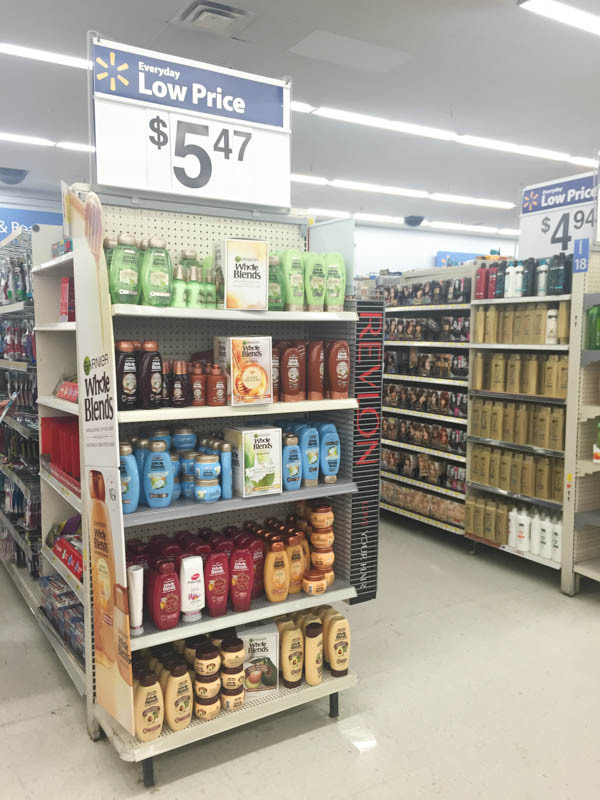 Look for this Garnier Whole Blends hair care line display and pick out your favorite Whole Blends formula! Check out all the options here.